On February 18, 1962, NASA announced Project Fire, a high-speed reentry research program designed to obtain data on materials, heating rates, and radio signal attenuation on spacecraft reentering the atmosphere at speeds of 24,500 miles per hour. Information from the program would support technology for manned and unmanned reentry on lunar missions. 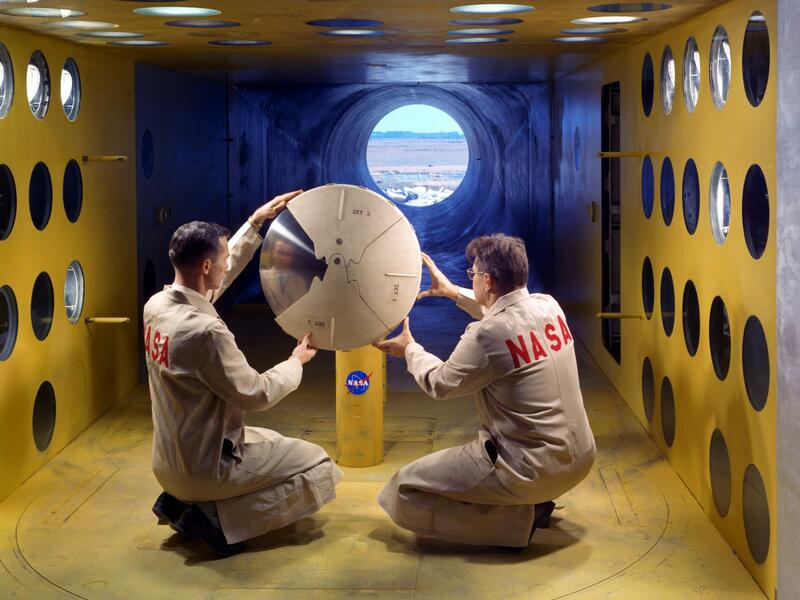 Under the management of the Langley Research Center, Project Fire would use Atlas D boosters, and the reentry package would be powered by an Antares solid-fuel motor. NASA awarded Republic Aviation the contract to build the experimental spacecraft and other companies would receive contracts for the communication systems and velocity packages. It was not known at the time but a C-124 crew from the 15th Air Transport Squadron, stationed at Dover AFB, would be a major player in supporting this program. The crew’s alert came early one morning during the last week in February 1964. The first leg of the special mission would take them to Greater Pittsburgh Airport in Pennsylvania to pick up their load. Upon arrival, the crew was met by representatives of the J.W. Fecker Division of the American Optics Company. Alongside the men stood a large object draped with protective oilcloth and tarpaulins. The crew was to learn that the covered object was a very sophisticated telescope (telespectograph) weighing approximately 10,000 pounds. It stood over 11 feet tall, was eight feet wide, and eight feet in depth leaving but five inches of height clearance and 40 inches of width clearance for loading onto the C-124. Twenty-five minutes were spent pre-planning before attempting to load the telescope. Two hours later the loading was complete and the crew was again airborne on their journey southward. Hunter AFB in Georgia was the last stateside stop and after crew rest it was on to Zandery Airport in Paramaribo, Surinam (Dutch Guiana). From Zandery, the crew flew a 15-hour leg to Ascension Island located in the middle of the South Atlantic between South America and Africa. Upon arrival, the crew was descended upon by NASA and affiliate company representatives, including photographers and newsmen. It wasn’t until later that evening that the crew was to learn the vital significance of their trip and cargo. According to the project manager, “This was the largest telescope ever delivered by air as a complete unit, and it was airlifted to Ascension Island to be used for planning the re-entry of the Apollo space capsule.” It was pointed out that the telescope had a recording lens of 36 inches and was six inches thick with an accuracy of one-tenth of a wave length of light or approximately two millionths of an inch. When the crew heard this they were glad the information was not available prior to accepting the telescope. After many thanks and handshakes the crew departed for their return trip to Surinam and to a well-deserved crew rest. Upon arriving back at Zandery Airport, it was found that the aircraft needed several repairs that would delay the crew’s departure by four days. The crew, never known to turn down a good thing, headed to the jungle city of Paramaribo to the 100-year-old Palace Hotel. A reception committee, including the hotel’s owner and most of his employees, welcomed them and escorted them to their rooms. Following a short nap, the crew found a reserved table prepared for their dining pleasure with a special rate for their meal. The hotel had learned the crew was short of funds as they had not expected a four-day delay. The hospitality had just begun. The hotel owner’s wife gave the men free passes to two movies in town and provided transportation. For those who preferred to stay at the hotel, free refreshments were served in the casino. The next morning, cars were offered to the crew but were declined because of the left side of the road driving regulations. Instead, the hotel owner’s wife and her sister chauffeured the crew to a private club for swimming and entertainment. As all good things must end, we were on our way back to Dover with fond memories of some fine folks that were as sincere with their service as they were with their smiles. We were to learn that two months later, on April 14th, an Atlas D launch vehicle lifted a model of the Apollo moon capsule from Cape Kennedy in the first test of the heat that would be encountered by a spacecraft reentering the atmosphere at lunar-return velocity. During the spacecraft’s fall to earth, a solid-fuel Antares II rocket behind the payload fired for 30 seconds increasing the descent speed to 25,166 miles per hour. The spacecraft’s exterior reached an estimated temperature of 20,000 degrees Fahrenheit. About 32 minutes after launch, the spacecraft impacted into the Atlantic Ocean. “Our” telescope was used to visually follow the capsule’s progress. Sources: Lavalle, Jack Dover AFB Airlifters Mar 4th & 11th, 1964; Encyclopedia Astronautica; Heist, Harry Memoirs.